A marijuana plant grows at Fotmer SA, an enterprise that produces cannabis for medical use, in Montevideo, Uruguay. 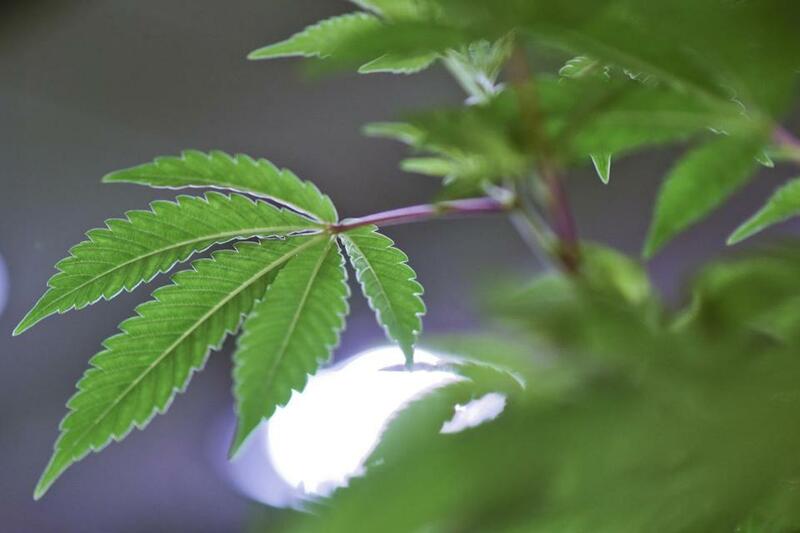 CRANSTON, R.I. — Authorities in Rhode Island say a building built before the United States declared independence was bought with cash and gutted to illegally grow marijuana. The Nathan Westcott home in Cranston was built around 1770, according to the plaque near the front door, and entered into the National Register of Historic Places in 1989. WPRI-TV reports the building is now at the center of a federal seizure complaint for LiQiong ‘‘Lilly’’ Zheng, who is accused of illegally cultivating over 100 marijuana plants. Federal seizure documents filed last month state the home’s floor and interior ceiling were removed and insulation was added into the building to facilitate growing marijuana. Zhang’s attorney said he could not comment. Federal authorities are seeking to seize the property.